Garlic Brown Sugar Glazed Salmon is amazingly flavorful and an easy weeknight dinner to make. 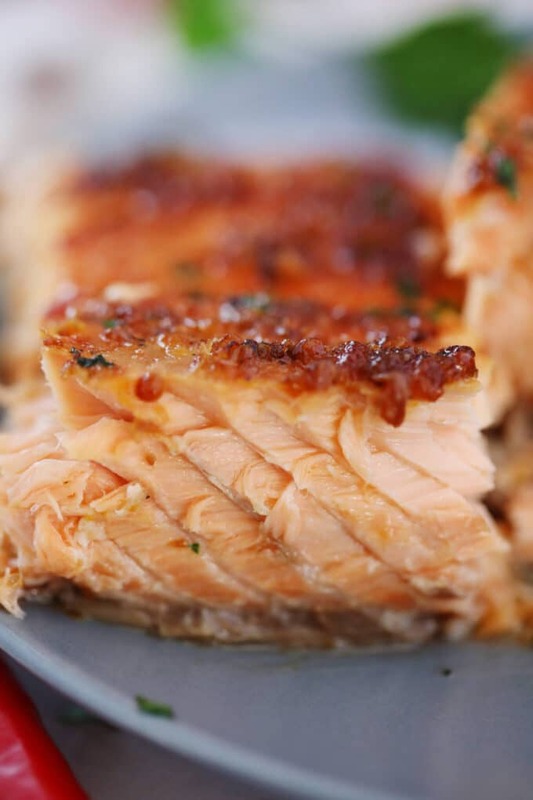 The salmon is infused with garlic and honey, then sealed in foil and baked to perfection. This delicious meal is ready in no time, and the whole process will take just about 30 minutes from start to finish. For the perfect finish, serve it with some roasted asparagus, mashed potatoes, or rice. Garlic Brown Sugar Glazed Salmon is absolutely our favorite way to cook this fish. We cook it all the time because it tastes great and is super easy to prepare. If you fish, especially salmon, this is definitely the recipe to go with! You will end up with a perfectly buttery fish with a crispy and caramelized finish. It will quickly become your go-to recipe that everyone will love! The fish is coated with a wonderful brown sugar glaze that elevates the flavor tremendously. 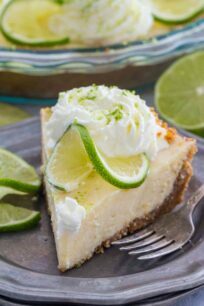 This gives it a sweet and tangy topping, that is super delicious and mind-blowing. Also, wrapping the salmon in foil when baking makes it so juicy and tender because it seals of the ingredients together. The combination of orange, brown sugar and garlic is irresistible, and once you try it, we think it will become your favorite salmon dish! How to make Garlic Brown Sugar Glazed Salmon? Since this is a fast recipe to make, the first step would be to have all of your ingredients together and ready. Also, we like to cook a whole filet, as it looks more festive. However, you could cut it in serving sizes prior to cooking. Take a relatively big piece of foil and lay it on a cookie sheet. Place the salmon pieces on the foil with the skin side facing down. Add some salt and pepper. Fold up the edges of the foil to create a pocket. Then, in a medium-sized bowl, add olive oil, light brown sugar, some honey, soy sauce, garlic, and lemon juice, orange zest and mix together. Pour the melted butter and the glaze mix over the salmon, and then add another piece of foil on top. Ensure the sides are crimping together and are properly sealed, and put it in the oven and bake. 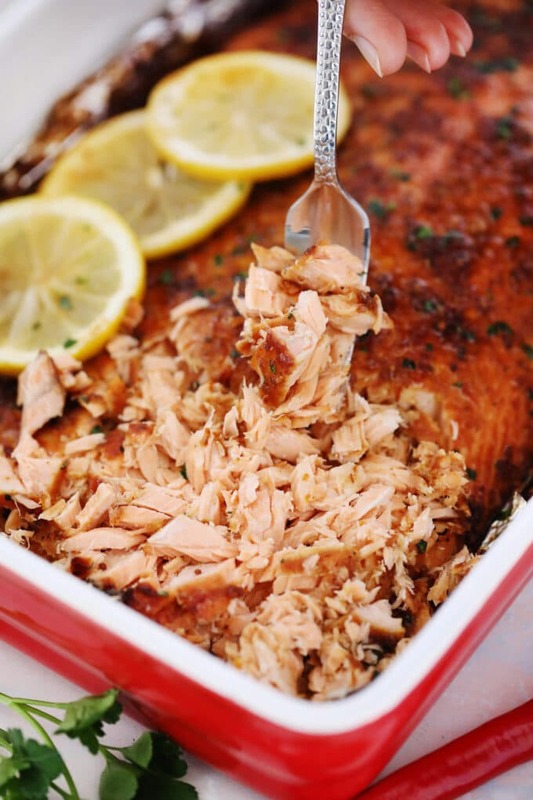 Baking the salmon in foil is one of the best ways to get a moist and juicy fish. It will cook evenly, and the glaze moisture will keep it just perfectly juicy! How long does it take to bake salmon in foil? Preheat your oven to 350 degrees. Seal the salmon in the foil and bake for 20-25 minutes. After, remove the top foil and baste some more glaze on the top and broil for another 2-3 minutes. When the salmon is done, slice it into individual portions for your family, and serve it with some green or veggies. The flavor is incredible in this dish because the combination of butter, garlic and brown sugar give it such an amazing taste and aroma. It is the perfect recipe to feed and impress your family or guests. This is going to be a recipe that you will make again and again because it is SUPER delicious! Remove fish from the fridge 15 minutes before you’re ready to start cooking. When broiling it, be careful not to burn it. The sauce/glaze will not need more than 2-3 minute to thicken and glaze the fish. Also, you could add some dill or parsley to the dish to brighten the flavor. Similarly, the fish can be baked without the skin if you prefer. Both versions work perfectly fine for this recipe, depending on your preference. If you have some leftover, use it in the morning with some scrambled eggs, its the perfect way to start the day! Then, line a baking sheet with aluminum foil and transfer the fish into it with skin side down. Sprinkle with salt and pepper. Fold up the sides of the aluminum foil around the salmon. In a medium bowl whisk together all the ingredients except butter. Pour the glaze over the salmon and then spread the butter over the fish. Top the salmon with aluminum foil and seal. Transfer the dish to the oven and bake for about 20-25 minutes. Keep an eye not to overcook it. Lastly, uncover the foil off of the top and baste the salmon with some more sauce and butter and put on broil. Broil for 2-3 minutes or until brown and caramelized. Serve with a salad, greens, or veggies. Salmon is a huge favorite at my house. I usually pan sear or grill salmon but next time I’m going to try cooking it your way. That glaze sounds delicious and your photos are making me hungry. I’m looking forward to trying your recipe. I bet my husband and kids would like this! It sounds like it will be a great flavor. I wish I liked seafood. I’d give this a try though, because that glaze sounds fantastic. 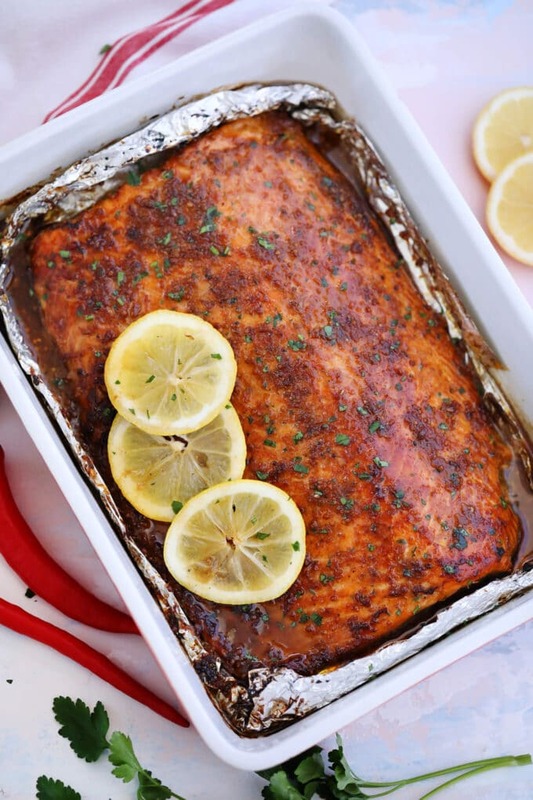 I have never really baked salmon before so I need to try it. I always fry it in a pan or rather my son does because he loves salmon more than I do. Baking might be easier for him. That looks amazing! I’m always trying to find different ways to sort of make her meals taste different and delicious. I cannot wait to try this one. Besides agreat way to cook it that was a great looking piece of fish. 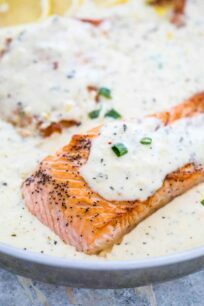 I know everyone will love this and try this recipe with their own salmon. Oh my goodness, this sounds absolutely wonderful. I am such a fan of salmon and this sounds like this is such a good way to cook it up! The salmon recipe looks very tasty. I think the sweet and garlic flavors work together with the salmon very well. And your glaze got a lovely top crust to come out! This beautiful glazed salmon looks so delicious and healthy. 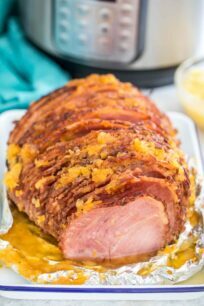 It’s the perfect Lenten recipe during this Easter season! I have been seeing so many great salmon recipes lately. I am definitely adding this to my meal plan. This combination sounds absolutely amazing. I’m going to print it and try it this week. I probably could get my husband to clean out the whole garage if I promise to make him this dish. I’ll let you know how that turns out. This recipe totally reminds me of a salmon that my mom used to make all the time! She hardly cooks anymore because she is sick but it is making me so nostalgic. I love it! We are huge fans of seafood over here and salmon is one of our favorites. Never tried it cooked like this though. Thanks for the idea. Looks good! This looks so good! A perfect dish for our get together this weekend. This will be a hit! Yum! Salmon is one of my favorite fish weather baked or grilled delicious and healthy too. I like it with my veggies and brown rice. I want to try your recipe tonight. This looks so delicious! I shied away from fish for a long time, but I enjoy salmon, even though I rarely cook it. We will have to make this. I am always looking for new ways to make fish. I never ate it growing up so the world is my oyster. This salmon looks like it would be so amazing. This is one of my favorite fish!